Increasingly, many trainers and dieticians have started to recommend protein water for weight loss and all round health of their clients. The use of protein rich diet shakes is hardly a new phenomenon; their use to help lose weight and increase strength has a long history, with many athletes using such diet drinks to gain strength on field and off it too. 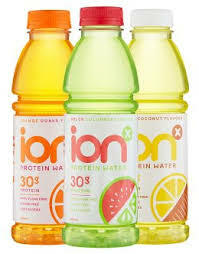 However, it is only recently that protein water have become popular in the Word wide Sport nutrition market. Protein water, sometimes referred to as meal replacement drinks, usually come in the form of powdered supplements that are mixed in water or milk to make a smoothie or shake. They are rich not only in proteins, but also in other nutrients that help build your muscles. Usually they are drank after a workout session; however, when taken as part of a diet, you can also take them after a light meal. You can also add fruits to your shake to make a fruit smoothie that is rich in protein. Protein water for weight loss come with different types of protein powder – options for these meal replacement drinks include egg protein powder, soy protein powder, rice protein powder and orgain protein drink. Soy protein supplements are perfect for vegetarians and the lactose intolerant. Rice powders have the added advantage of being gluten-free. The most popular type of protein supplement is whey protein supplement, which is made from milk and other animal products. Protein is an important building block of human body, especially of our muscles. By using protein water for weight loss, you are Protein water For Weight Lossadding more protein to your diet, which should help you add more muscle to your body. One of the most important characteristic of muscle mass that make it different from fat in the context of metabolism is that, pound for pound, muscles burn more calories than fat. Therefore, if you are able to lose a pound of fat, and gain a pound of muscle by drinking protein water, you will burn more calories per day. This will, in turn, accelerate your weight loss, all other things, such as calorie intake and calories burnt per day, remaining equal. Drinking protein water increases your lean muscle mass and makes for a healthier metabolism – a key factor in weight control. It should be noted that merely drinking weight loss shakes is not a magic bullet that will automatically contribute to your losing weight; rather they are a part of an overall diet plan that stresses on a low-calorie high-protein diet that adds more muscle to your frame. Another method of using protein water is to do what is called meal replacement. In this, you can replace one of your meals with a weight loss shake. Usually, the meal replaced is breakfast. By avoiding a meal, you are cutting on calories, while adding more proteins to your diet in the form of the shake. However, meal replacement should be done taking a number of factors into mind, as well as only on the advice of a professional dietician. This 5.15 pound of jar of Whey protein is available on online stores for about $47, though its printed sale price is more than $77. Optimum is one of the most trusted names in the field of fitness nutrition. It is owned by Glanbia, which is the manufacturer of this product. This makes it an exception in a market where most brands are sourced from third party manufacturers. Whey Gold Standard comes packed with lots of protein, making it one of the most popular protein water for weight loss. This protein-rich powder comes in vanilla, chocolate and other flavors, and can be mixed with soy or milk to get a delicious drink that can be drunk after a meal or a workout. You can even add a banana to the shake to make a banana flavored smoothie; or add any other fruit. As the name suggests, this protein powder comes with six proteins that help build your body after a workout or a hard day’s work. Like other products listed here, it may contain milk, fish oil, egg, soybeans, shellfish, tree nuts and peanut flavor; so if you are allergic to any of these ingredients, you should avoid the product containing that ingredient. You can also get discount weight loss shakes for women in the market; these are manufactured keeping in mind the requirements of the female body. A diet based on protein water for weight loss can help you lose weight where other diets have failed, and by improving your muscle mass and hence your strength, it can do that by making you healthier than most other diets. 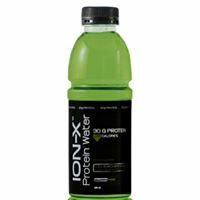 Take protein water for weight loss, and see the accelerated weight loss that comes from adding more muscle to your body. Next PostWhat is SEO Internet Marketing?